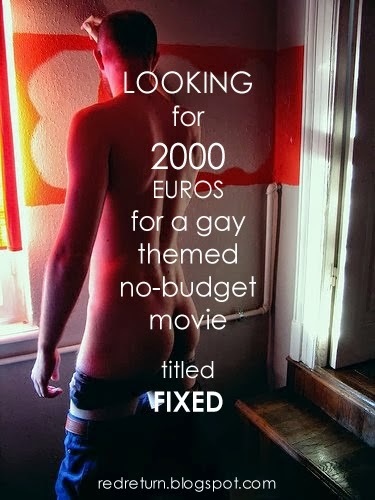 Fixed - is an idea of mine for a film that talks about a gay relationship between an Older man with family and kids not sure of his inner world and identity and his relationship and love with a young boy that kills his wife. But he will never find out who did it. And the Young will help him get through his loss, because only a killer can see so much more and so much clearer into the human heart and body. Is a film about our body's alien quiet mind and drive. A film to be made anywhere possible between Bucharest and London :) as we did our last film in Berlin.